So, you’ve decided you’re going to go on your summer campervan trip. Well, that’s a great choice for an adventure on the road. But, to make the most of it, you need to make sure you have everything you need. Here are some of the things you need to get sorted when it’s just you and your campervan vs. the wilderness. The worst thing that can happen is that you run out of fuel midway through your journey. You don’t want to have to deal with your campervan not working in the middle of nowhere. So always try to make sure you top up whenever you need to. It might also be a good idea to have a fuel drum on board as an emergency in case you run out in the wilderness. This is an important safety precaution and will help you have an amazing campervan experience. When you’re on the road, you have to think about how you’re going to pass the time. A lot of people get bored and find they don’t have a lot to do. That’s why you need to make sure you have a lot of entertainment options to keep you busy. Take plenty of books with you and catch up on some reading. You might also bring some games if you’re going with other people. If your campervan has power inside you could enjoy some TV or DVDs. Just make sure you have enough entertainment to keep you occupied out there. If you want to have a really immersive experience you might try living off the land. This is something that a lot of people try to incorporate into their trip. It gives you a heightened sense of adventure and enjoyment. But, if you’re going to do this you’ve got to make sure you have the supplies you need to live off the land. So head over to chandlerrodandgunclub.com and see what they can recommend. You need to get plenty of equipment and supplies to help you live off the land as much as you can. Of course, this won’t always be possible, and you need to consider the fact that some things you won’t be able to get off the land. You have to make sure you plan out your journey as much as you can. Think about road trips, and how much planning and organization they require. At roadtripamerica.com you can find a useful guide that will help you plan your road trips in style! You also need to consider how your campervan journey is going to need to be planned. Have an idea of the route you want to take in mind, and make sure you take a map with you. Pick somewhere to go and then map out your journey. You don’t have to be too detailed if you want to enjoy a bit more freedom. But, you do need to have some idea about where you’re headed. 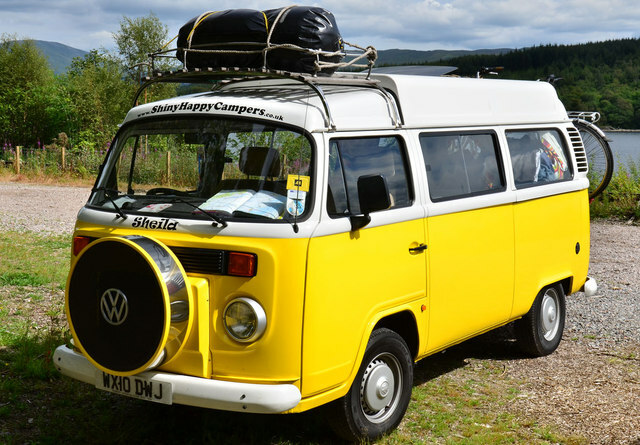 Having a campervan is a great way of having a mobile vacation vehicle. You can enjoy camping and touring the great outdoors. It’s just you against the elements inside your trusted camper. This is something that a lot of people should consider doing. It allows you to have a trip away whenever you feel like it, and it gives you a vacation with a difference.